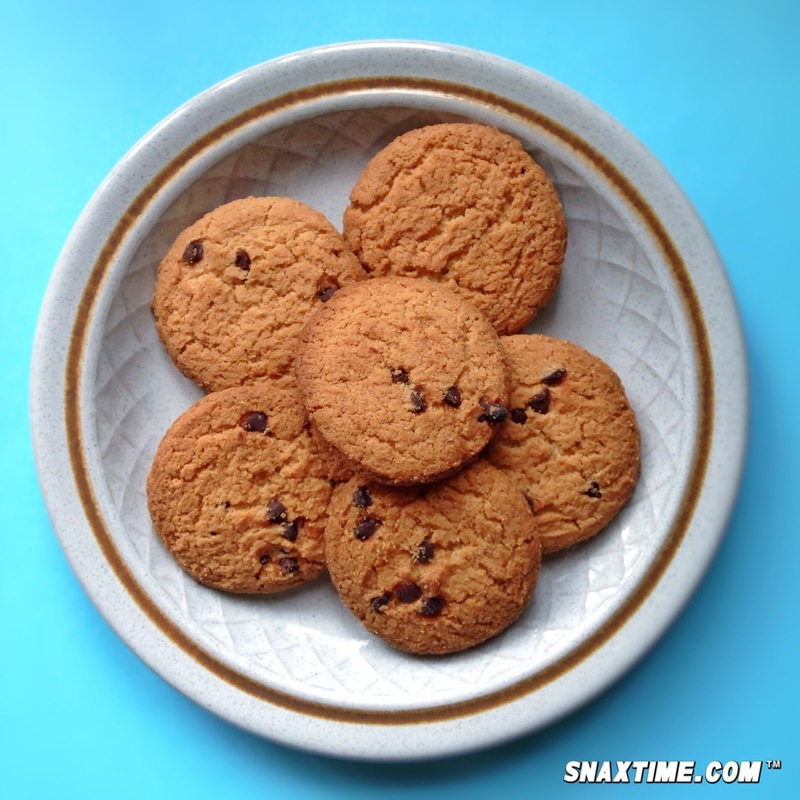 Dare Breaktime Chocolate Chip Cookies: HUMAN SCOOBY SNACKS! Send the dog to bed, this snack's for you! 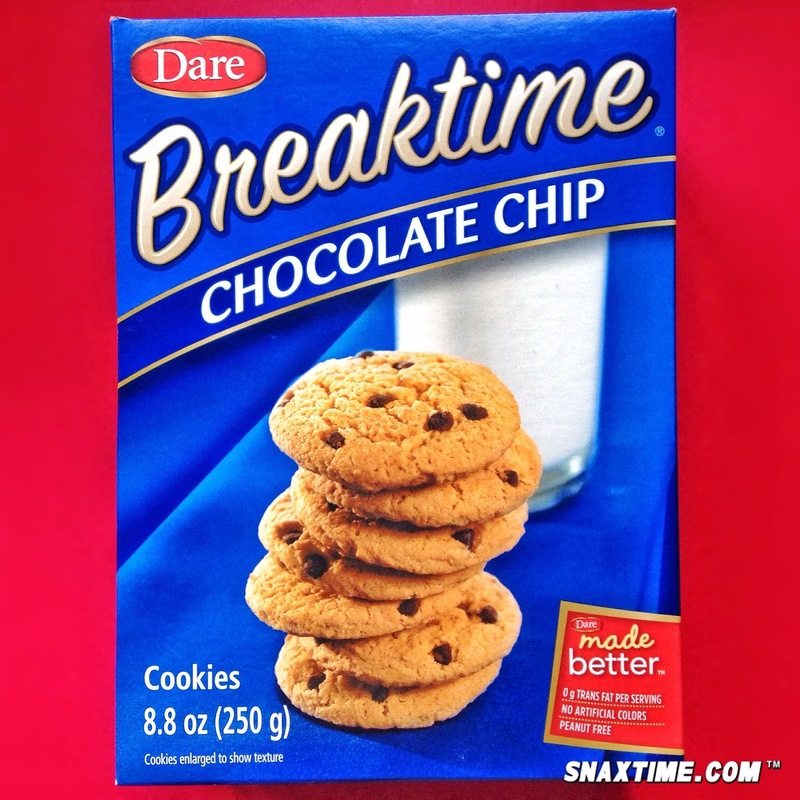 They're hard, flat and dry and barely have any chocolate in them, but there's something about Dare's Breaktime Chocolate Chips Cookies that makes you want to eat the entire box. This toothsome Canadian snack food product is mostly found in discount and dollar stores (we got a box for $1.49), but that doesn't mean they're not munchie, delicious goodness. These cookies are actually super yummy with a nice sweet vanilla taste and subtle saltiness. The chocolate chips themselves are more like chocolate specks, but for whatever reason they work perfectly in these pleasantly crunchy flat biscuits. If you see them, give them a try. In no time, you'll be doing tricks for Breaktime Chocolate Chip Cookies!